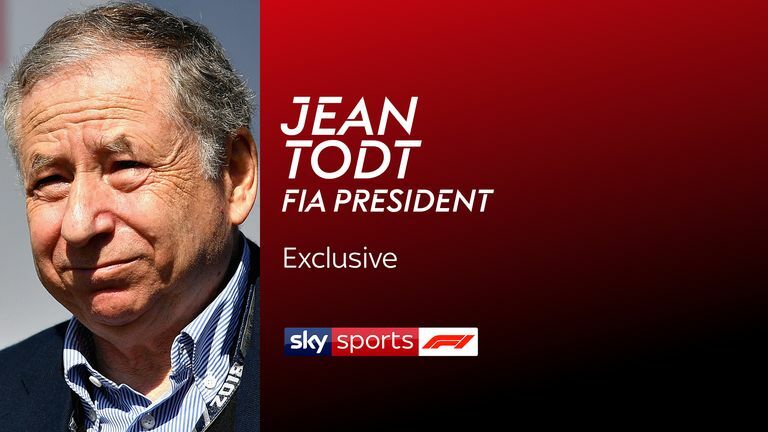 In a Sky Sports exclusive, FIA president Jean Todt discusses the big matters of the moment in and around Formula 1 at the end of another incident-filled season. Todt sat down with Craig Slater at the season-ending Abu Dhabi GP for a wide-ranging chat about the subjects of significance - including the Mercedes vs Ferrari title battle, controversies involving Sebastian Vettel and Max Verstappen, the first season of the halo, and the latest Concorde Agreement negotiations. Below is a small flavour of what to expect - hit play on the video above to watch the interview in full! Was it a good year for F1? "If you just see the results people will again say 'it's Hamilton again and Mercedes again', but to achieve five times in a row the manufacturers' and drivers' championships - I know how difficult it can be." Does Sebastian Vettel need to control his emotions? "Formula 1 does create emotion and sometimes creates controversy, it is good in any kind of a sport you see some controversy." What will Max Verstappen's public service be? Did the halo save a life in 2018? "We will never compromise about that we need." Concorde Agreement a harder negotiation than Brexit? "I don't envy those who have to deal with Brexit." Can you compare Hamilton with Schumacher?